Search in Outlook has long had problems, especially for POP and IMAP users – specifically, no search results were returned. The latest problem affected some users beginning with version 16.0.9001.2171. While most affected users used either POP or IMAP accounts, some Exchange users also had no search results returned. To make search work, users needed to disable Windows Desktop Search in Outlook and fall back to Outlook’s slow, native search. There is now a solution, one that I’m hoping will solve the search problems once and for all. 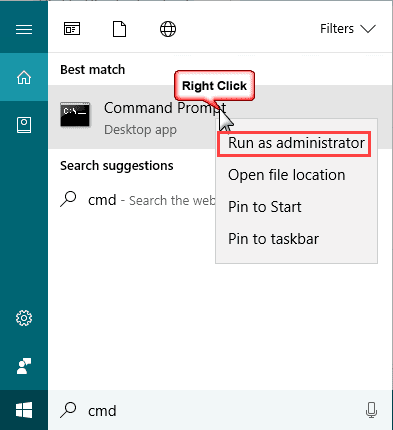 To quickly find a registry key, copy and paste the registry path in the address bar at the top of the editor in Windows 10 then press Enter to jump to it. You don't need "Computer\", just HKEY and what follows it. If the key does not exist you'll stay on the current key (you will not receive an error message). 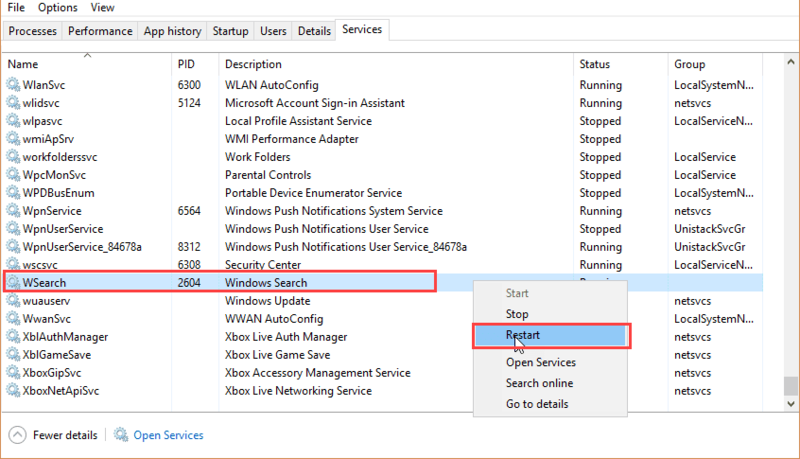 Close Outlook, then restart the Windows Search service (wsearch) in Tasks Manager, Services. Restart Outlook and wait for indexing to complete. Close Outlook, restart the Windows Search service (wsearch) in Tasks Manager, Services. Restart Outlook and wait for indexing to complete. This was fixed as of build 7870.2031. 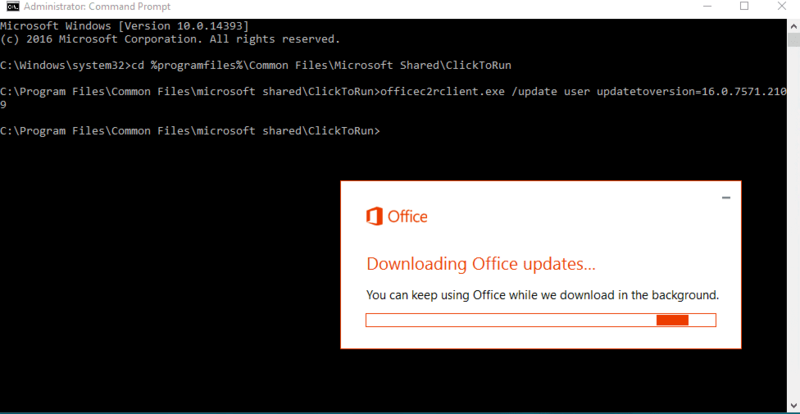 After updating the Office installation, you may need to rebuild the search index. Outlook 2016 users are discovering that after updating to builds 7870.2020 and higher, search stops working for POP accounts and PST files. Add an appointment on your calendar for a month or more out to remind you to re-enable updates. You can disable Instant Search in Outlook from the Options dialog or using a registry key. Keep in mind that if you disable Windows Search and only use Outlook built-in search to perform the search. Search will be very slow with this key enabled. From the File, Options dialog, select the Search page and click on Indexing Options. Click the Modify button and uncheck Microsoft Outlook from the list then click OK.
To use the registry method, press Windows key + R to open the Run command. Type regedit in the Open field and press Enter. 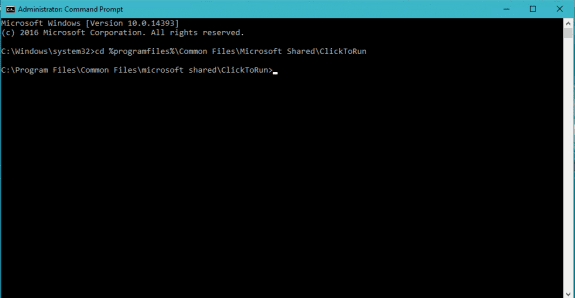 Browse to the Windows path, right click and choose New > Key, naming the new key Windows Search. Right click again and choose New > DWORD. Name it PreventIndexingOutlook and set the value to 1. You may need to reboot the computer. Muchas gracias!!! Me funcionó. Gracias!!!! Estimado Tony, realice los pasos que se detalla y no funciono. Después actualice a 1702 (7870.2031), y ahora no busca ningún correo. Translation: Dear Tony, perform the steps that are detailed and do not function. Then upgrade to 1702 (7870.2031), and now you're not looking for any mail. Thanks for the advice. I followed it to the letter but for some reason I still can't search my POP3 emails in my inbox. I thinking of going back to an earlier build version (than above) but wondered if you knew of which version this problem started happening so I can go back to the one just before it. supposedly the update released this week fixed it - someone said it worked, another person said it didn't. Search in my test system was still broken when i checked thurs, but the update wasn't installed yet. The list of verisons is here - https://technet.microsoft.com/en-us/library/mt592918.aspx - go back 3 or 4 more to be safe. Why didn't I come to your site straight away instead of wandering round the web? Thanks for clarifying the problem, and your solution worked for me. There is now a new version of Outlook 2016 - 1702(7870.2031) - which I've downloaded. Search is working well - at the moment!. Thanks for the update. That version is supposed to fix it - but one person said it did not and I wasn't sure if it was "user error" or that it really wasn't fixed. We have done the steps mentioned about to rollback to the previous version of updates and it seemed to work the first day, but now, day three, the indexing has stopped with 43,000+ left to index. Our searches in Outlook 2016 are not complete. What should we do NOW? It has been stalled at 43,000 left to index since yesterday. THANKS for your help. Did you turn off automatic updates? I have completed the instructions on the email client and we are still unable to search. I am running Outlook 2016 with a POP account. Is there another step that we need to add to these steps to make searching again? Diane, Thanks for responding. After letting the Indexing run for a couple hours everything is back to normal. We are so happy we found this solution. We were struggling with it for almost a week.